Loneliness might not come to mind when you think of conditions that can impact health and quality of life for seniors. But in fact, research has found that loneliness may be as harmful as some medical conditions and can even lead to early death. Those findings, which were presented at the Annual Convention of the American Psychological Association, found that loneliness and social isolation are a major public health hazard. And it’s an issue that’s especially common among older adults. The AARP found that more than 40 million adults older than age 45 are suffering from chronic loneliness. That may seem odd, given that in many ways, we’re more connected to others by technology than ever before. But many older adults either don’t have access to a computer or simply don’t use the Internet. For those who are, other research has found that social media and other online interaction can actually make us feel more lonely and isolated. What’s the bottom line? In addition to living a healthy lifestyle and managing health conditions, it’s important for seniors to remain socially active. Relationships with friends and family members play a big role in promoting quality of life. Read on for a look at how socialization impacts quality of life and some ways to include social activities in daily life. Is Your Aging Loved One Social Enough? Senior LIFE offers members opportunities to stay social and build relationships. Our friends and family provide a support network for us throughout life. But as we get older, we often lose those social interactions, for a variety of reasons. Some friends may move away. Some may pass away. It can become more difficult to travel to an event or even a friend’s home. Health may keep us tied closer to home. But maintaining relationships plays a key role in quality of life for seniors. For one, remaining socially active has been tied with health benefits—and remaining in good health is important for quality of life. In one example, a study by the Rush Alzheimer’s Disease Center found that those who maintain relationships and stay active are much less likely to develop cognitive decline. Interacting with others regularly also makes seniors less likely to develop poor habits, like smoking and not exercising regularly. But beyond these benefits, being around others usually lessens feelings of loneliness, which plays a large role in our health. 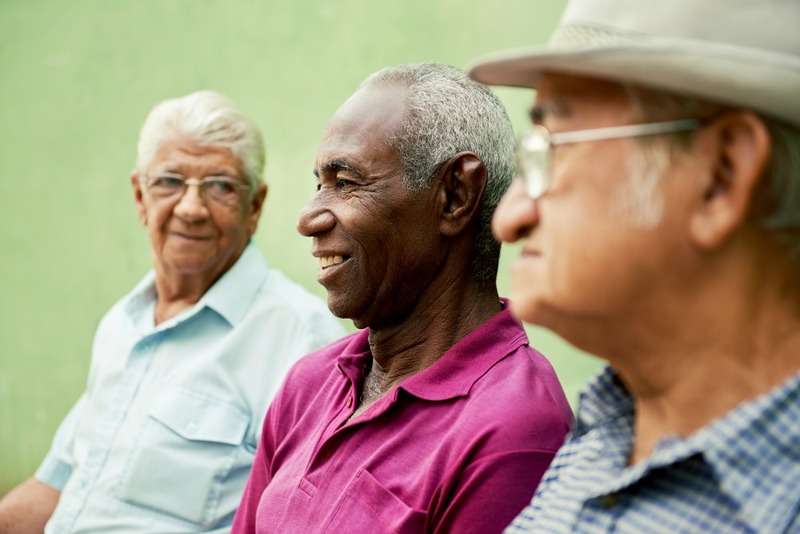 While you may know the importance of socializing and relationships as we age, it can be difficult to include them in daily life. But there are many different ways to increase a person’s interaction with others in a beneficial way. Senior LIFE also offers opportunities for members to interact socially with others. At the Senior LIFE Center, members can participate in a variety of activities designed to keep them active and engaged, including recreational programs. Take a look at what Senior LIFE is all about! Members also have the opportunity to eat meals together at the Senior LIFE Center, provided by the nutrition team. And seniors and their caregivers don’t have to worry about finding a way to get to the Senior LIFE Center. Through-the-door transportation from the home to the center and back is provided.